In 1914, Joey, a young farm horse, is sold to the army and thrust into the midst of the war on the Western Front. With his officer, he charges towards the enemy, witnessing the horror of the frontline. But even in the desolation of the trenches, Joey's courage touches the soldier... read full description below. 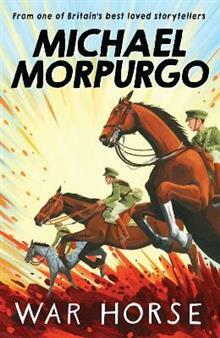 Michael Morpurgo is one of the most successful children's authors in the country, loved by children, teachers and parents alike. He has written more than forty books for children. He has won the Whitbread Award, the Smarties Award, the Circle of Gold Award, the Children's Book Award and has been short-listed for the Carnegie Medal four times.